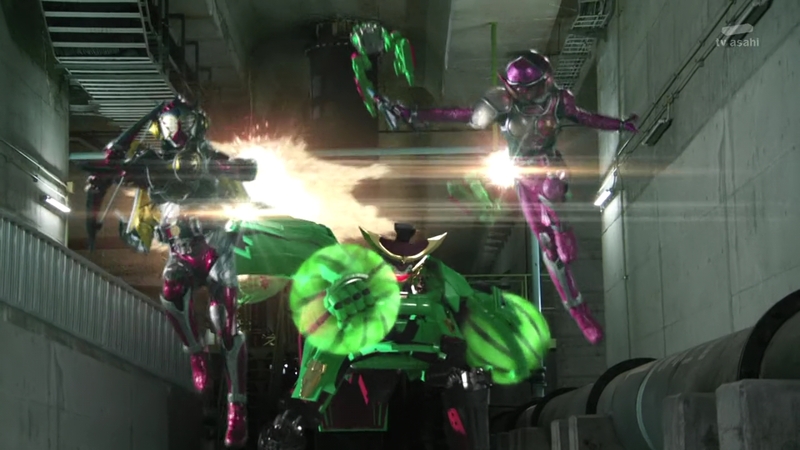 Recap: Kamen Rider Gaim, Episode 40 – The Overlord Awakens! 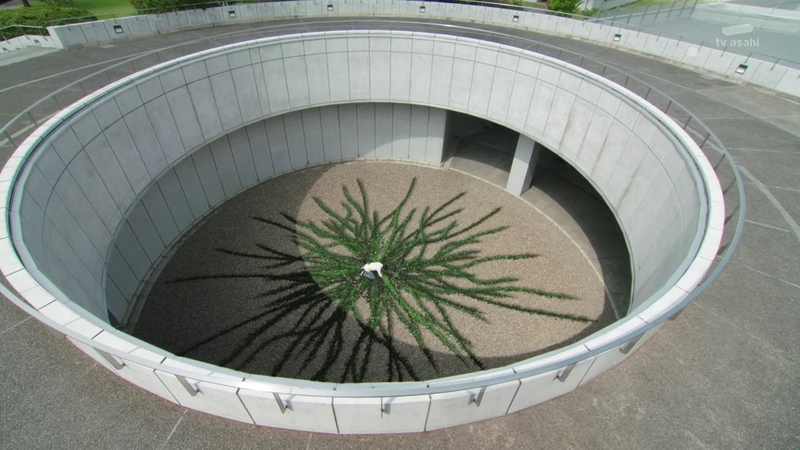 Kota and Ryoma get deeper into the Yggdrasill underground until Ryoma finds an elevator he knows was never there before. They get in and the elevator leads up to the energy mining room. Kota immediately recognizes Rat and Rica, but then sees his sister. He hurries over to her and tries to yank the mask off her face. Ryoma studies the contraption the people are hooked up to. 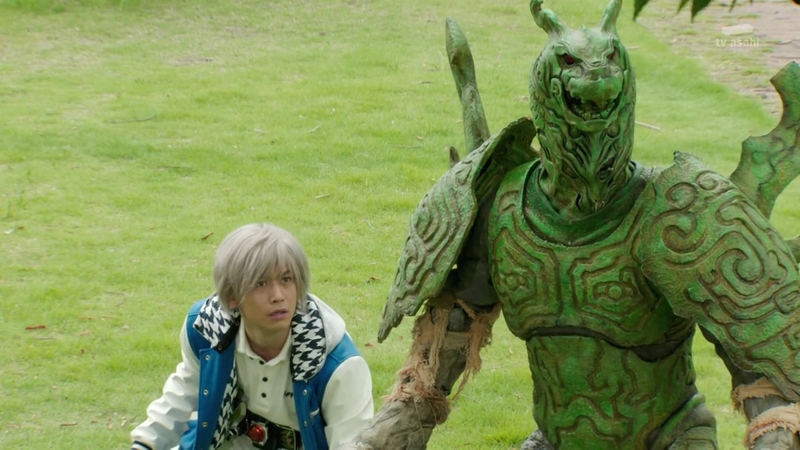 Kota asks if he can do something about this, but Ryoma says maybe that person can answer his questions. Kota turns and Redyue walks in. She comments on how Kota has defeated one of her best. He has so much power he doesn’t even know what to do with it. Kota quickly henshins straight to Kiwami Arms. 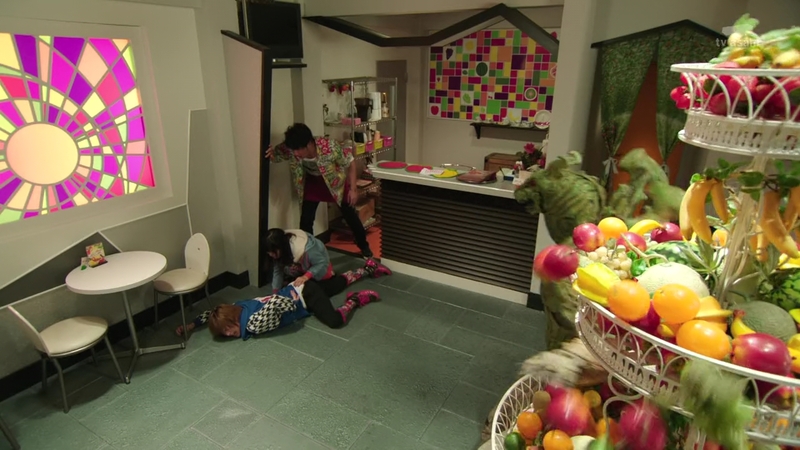 Ryoma tells Redyue he had hoped to talk to her, but he’ll have to wait until his “guest” calms down. He too henshins and they take on Redyue. Redyue decides to take the fight above ground. She sends Ryoma flying towards a pillar and then focuses on playing with Kota. Redyue gives Kota food for thought. Isn’t he suspicious why the snake tempted him with a power that appears too powerful for his own good? She rephrases her question. Why is it that Kota is fighting for the humans? Of course, they are my people! Kota replies. Redyue says he is wrong, Kota is no longer of the humans. He is of the Overlords. Isn’t it right that he can’t even eat human food anymore? Redyue decides to show Kota exactly what this means. Ah, hypnosis, Ryoma sees. He takes this opportunity to escape to his underground control room. He reboots his Master Intelligent System and gleefully watches the recordings of everything that’s happened at Yggdrasill and in the forest since he’s been gone. Meanwhile in the forest right now, Roshuo shows Mai the Forbidden Fruit. Whether it is a force for creation or destruction depends on how it is used. He explains that the Fruit exists to rule over the new world after the current world is engulfed by the forest. But if the Fruit is used to stop the forest’s invasion, what will become of the new king that was supposed to rule over it. 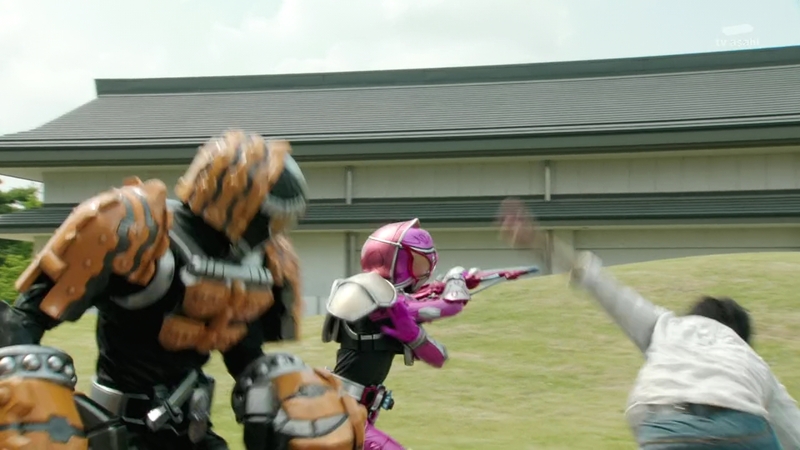 “He’d have nowhere to go,” Sagara says as he pops in. The ruler of the new world, in other words, the destroyer of the old world would be hated. People wouldn’t be grateful or compassionate, they would just be afraid of his great power. “What were you planning for Kota by giving him such a dangerous power? !” Mai asks. Sagara says how this turns out depends on his decision. One that he’s already made. Mai realizes. Yes, Sagara says. Kota has already obtained part of that power. Meanwhile, Redyue takes a hypnotized Kota through the hypothetical that awaits him in the future. “There you are… you monster,” he tells Kota. 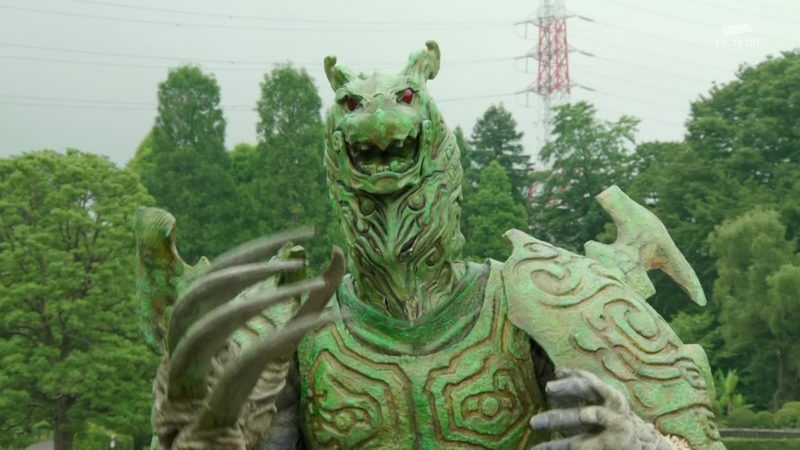 Kota is confused, but suddenly he sees his deformed, monstrous hand. 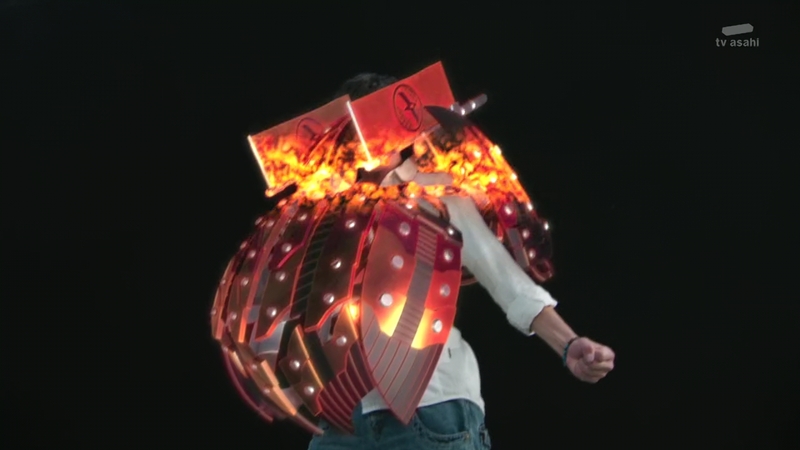 Kota then fully transforms into an Overlord. “I won’t let you do what you want to this peaceful town,” Yuya says. He takes his Driver out and an Orange Lock Seed. 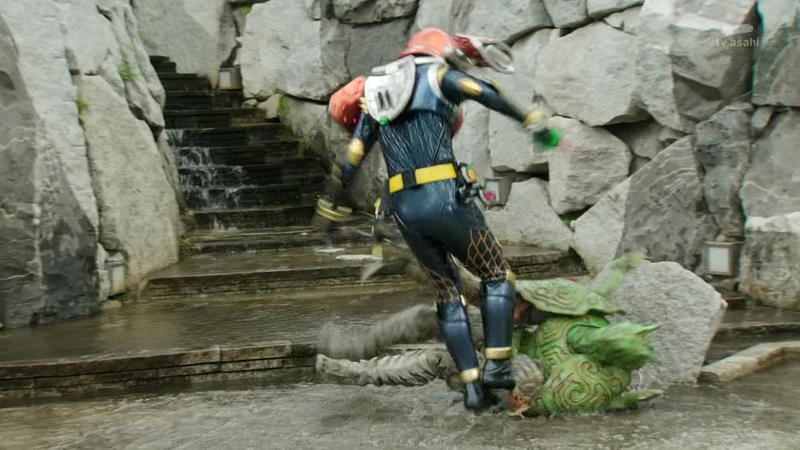 Yuya attacks as Kota begs for him to stop. This is a misunderstanding! A frantic Kota runs. 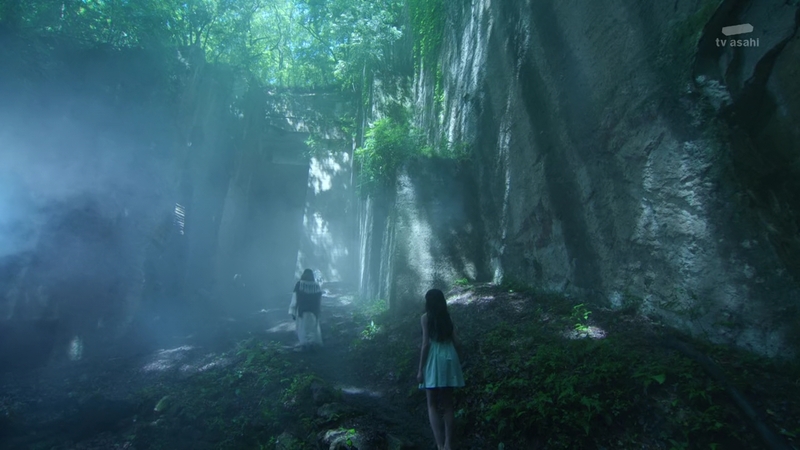 It is only natural to get carried along the current of fate, Sagara says. But if someone were able to change that fate, then he would no longer be human. She asks what will happen to him. Kota, back in his mostly human form, stumbles into Drupers where Rat and Rica are enjoying some treats with Bando. But they see his disgusting hands and they become terrified. Kota tries to get them to understand he means no harm, but he again turns into an Overlord. 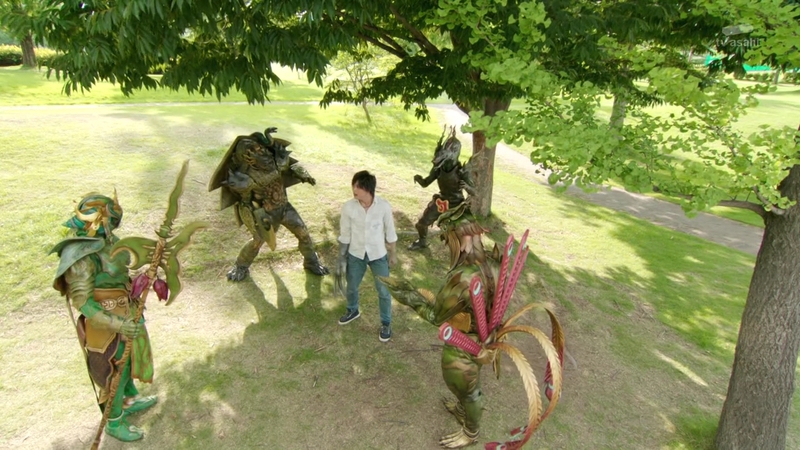 He continues to move toward them until Rat protects Rica with his body and Kota inadvertently slashes across his back. Kota cannot believe it. He runs. 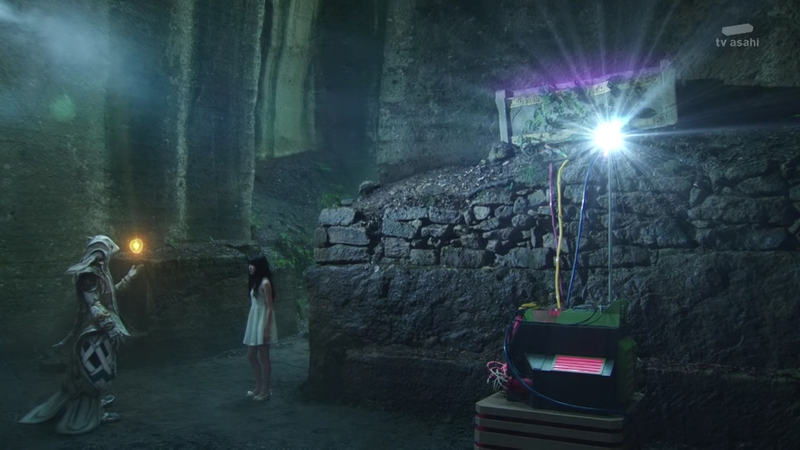 Kaito, Minato and Zack have found the energy mining room. Zack tries to take the masks off of Rat and Rica. Kaito kicks in the machine and the masks all disconnect. Rat, Rika and Akira awaken. 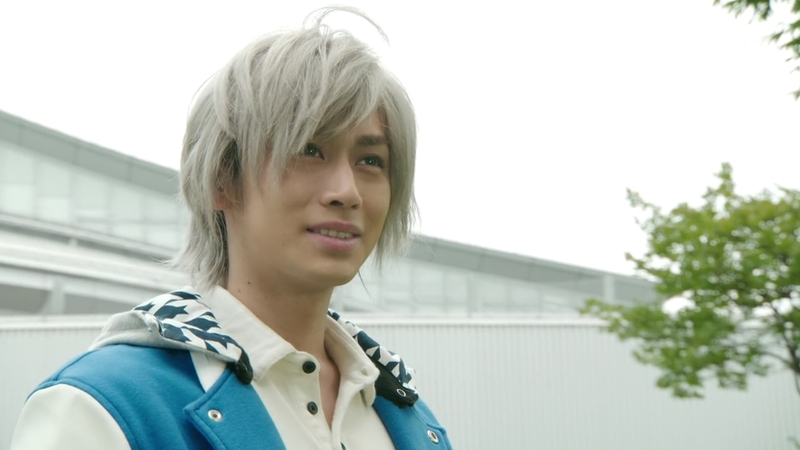 Kaito says for Minato and Zack to take care of things here while goes after Kota. Kota, still in Overlord form, stumbles onto the plaza downtown. The townspeople cower in fear even as Kota tries to get them to understand. Yuya, henshined, appears and attacks. “Don’t you recognize me Yuya! ?” Kota desperately asks. 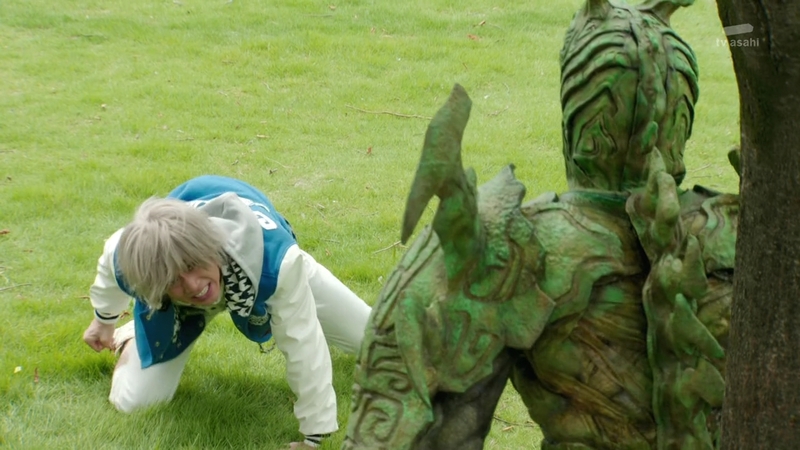 Yuya continues attacking a helpless Kota who realizes things could have been very different if he hadn’t obtained the belt. Yuya sends him flying over the fountain and Kota dehenshins back into his mostly human form. He crawls under a tarp to hide. Yuya runs off to search for Kota. No, Kota says to himself. 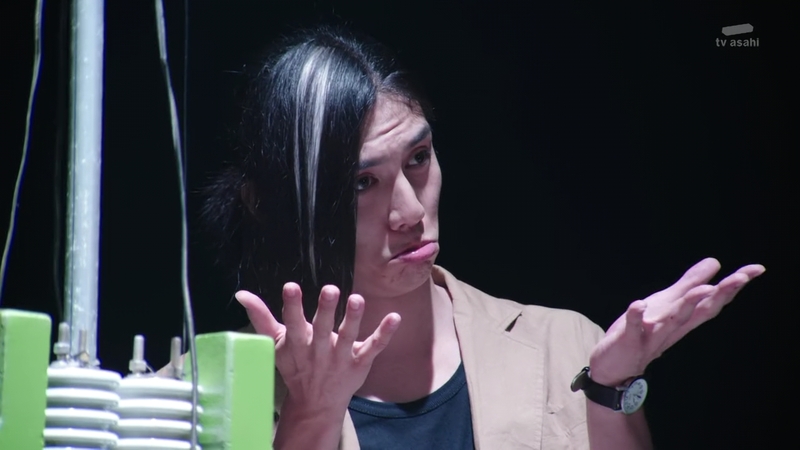 If this had been how it played out, he would never knowingly kill Yuya. He only wanted this power to save everyone, no matter the consequence to himself. Zack and Minato come running toward Kota to attack, but two familiar Overlords appear to save him. “Go! Everyone’s waiting!” the Overlord Dyudyuonshu says. Kota runs and is met by Redyue and Shinmugurun. 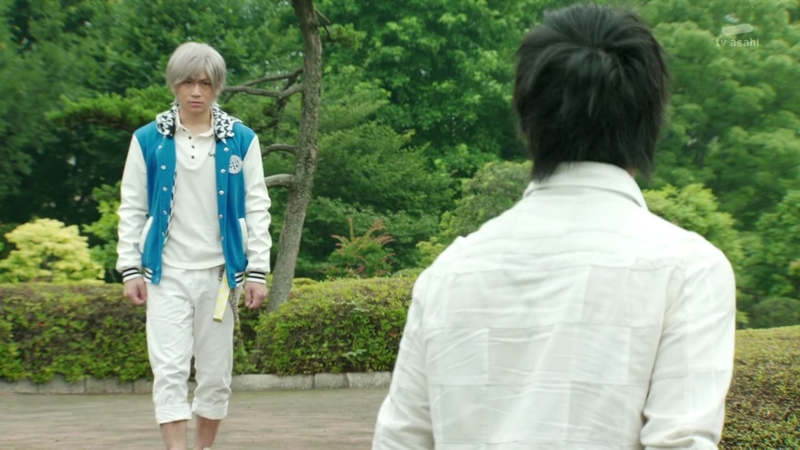 Kaito searches outside Yggdrasill Tower for Kota, but he instead runs into Mitsuzane. That’s okay, Kaito says. Because it is a good thing that they have come face to face without Kota anywhere near. Yes, Mitchi remembers Kaito vowing to personally destroy him. 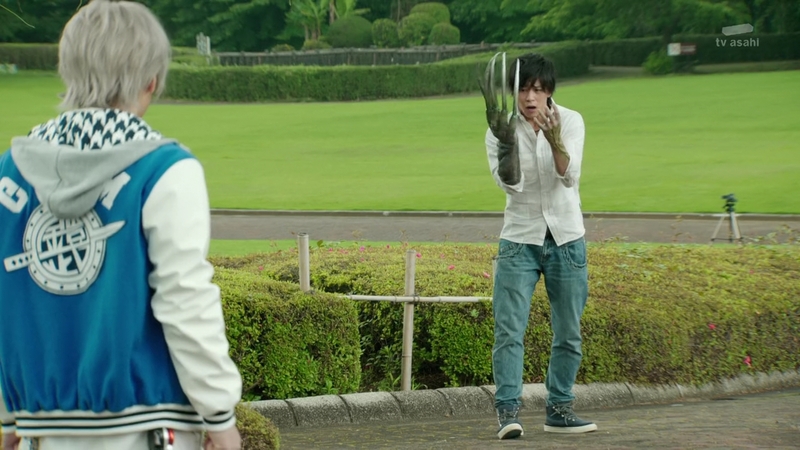 With Kota not around, Kaito does not need to show Mitsuzane any mercy. Mitchi smiles. They both henshin. That hurts Mitchi. He charges forward. Kota is surrounded by the Overlords. He begs them to get the Inves to stop attacking the people, but Redyue says there’s no need to feel bad since it’s those same humans who reject him. He should just destroy their world and create a new world for himself and the army of men he deserves as the one chosen by the Forbidden Fruit. Kota transforms into Overlord form. Yuya appears and Kota charges. They fight. “Finish him!” Redyue tells Kota. But Yuya’s words resonate with Kota. Kota henshins into Kiwami Arms. Kota snaps out of his Redyue-induced hallucination. She cannot believe what has just transpired. She runs. Kota collapses to the floor and de-henshins. Vines sprout out from his spot. Well frak yes! 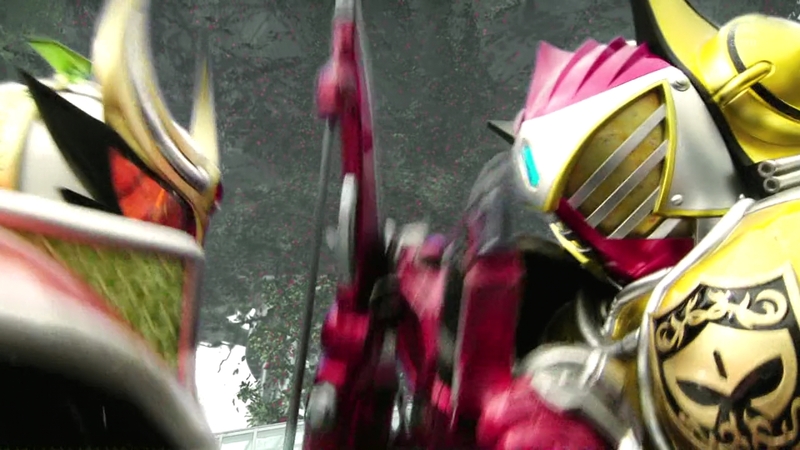 Dude, this one-two emotional punch of ToQger and Gaim this week was insane! 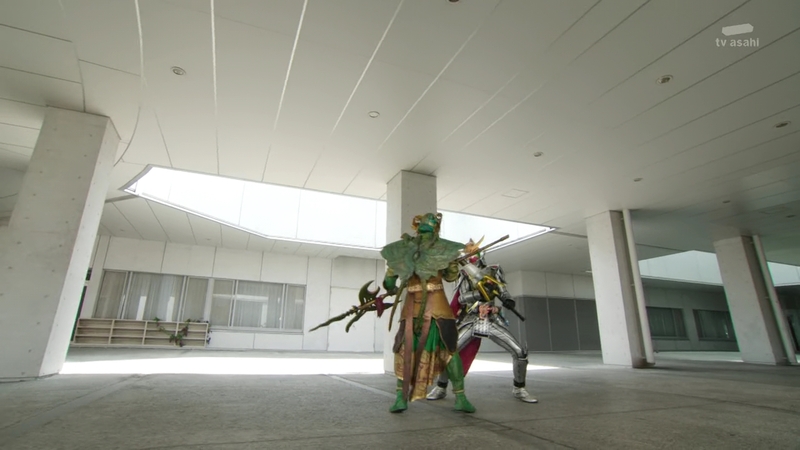 What an amazing episode of Gaim. It’s main purpose was to reaffirm Kota’s willingness to sacrifice himself (yes Kota, it’s still called a sacrifice even if it’s what you want) to save his family, friends and the rest of humanity. But the way they did it was just pitch perfect. It was beautiful, almost poetically done in spite of Kota being so frantic and desperate. 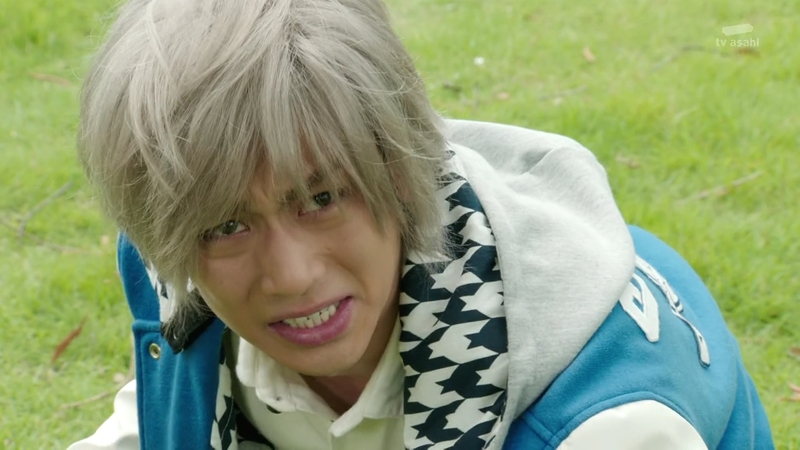 We’ve seen him need Haruto’s services before, falling into the depths of despair only to pull himself out of it like he and his inner Phantom were good buddies helping each other out. But here, we saw the deepest depths of his pain and despair. Seeing his friends and especially his sister merely brought the dire situation that much closer to home and to his own heart. 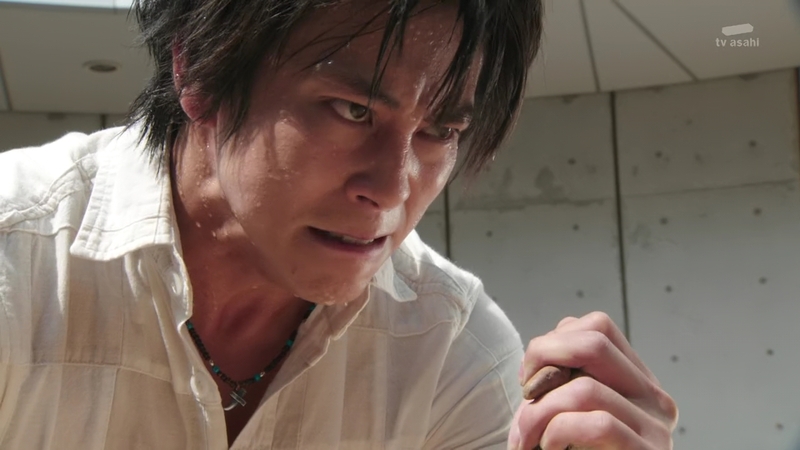 But that the lingering guilt and suffering he has felt for killing his friend Yuya still stays with him, he takes all of it and uses it to strengthen his resolve. Akira and his friends have always mentioned how Kota is always doing things for others and never for himself. He’s always putting others’ needs before his own. But as this episode showed, it’s not just because he’s a nice guy. It is because he is a true hero. And for him, the world wouldn’t be worth living in without his family and friends. Roshuo’s own words and experiences help support Kota’s belief too. 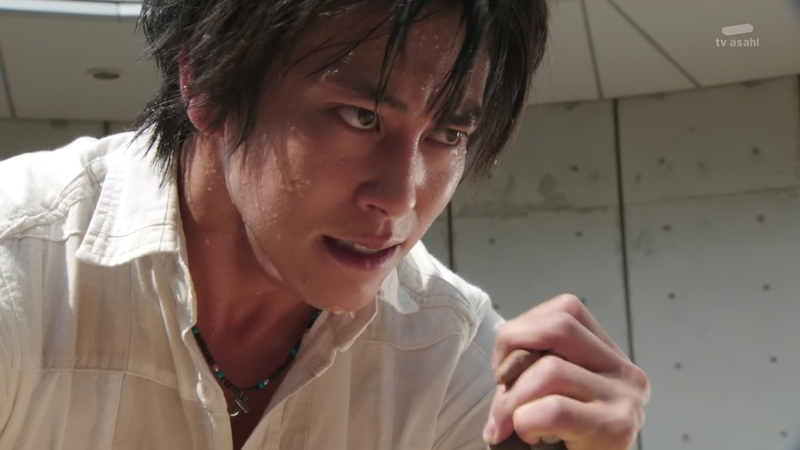 Using Yuya and mirroring Hase’s final moments on Earth to help clear things up for Kota was a creative and genius way to really illustrate all of Kota’s inner struggles and to reveal just what is happening to him, care of Sagara’s little gift to him. Mai’s conversations with Roshuo and then Sagara definitely helped frame Kota’s confusion and eventual realization quite well. 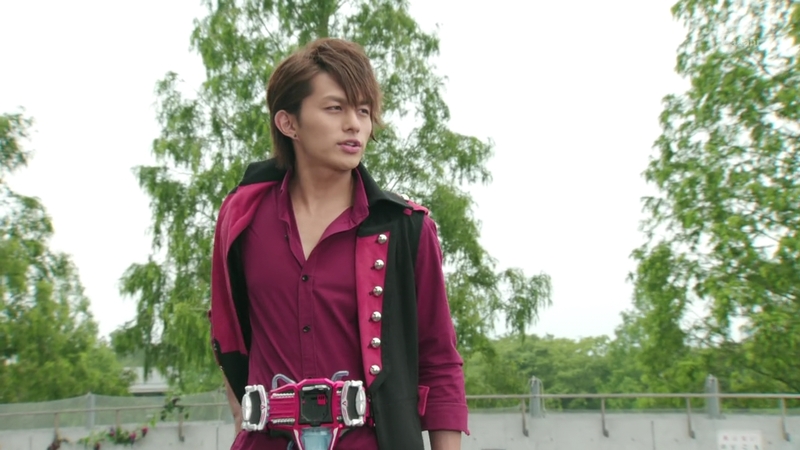 Elsewhere, Kaito and Mitchi going at it and Ryoma’s wanking over his data were necessary, but at least quick bridges between the last episode and whatever craziness is coming next week. And Kaito and Minato flipping around in the air and Zack using the watermelon like a boss at the beginning of the episode was hot. Ah, Urobuchi. You’ve done it again. The guy is really at home when he explores these themes. And I must say, this wenbt way beyond what Wizard had managed to tackle. 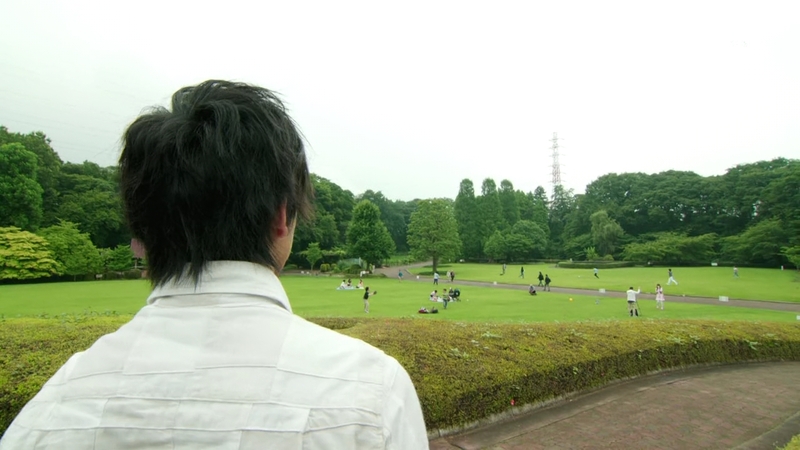 Kouta’s realization that he is not of this world anymore is just downright depressing. As for Mai, i guess her own realizations is what will eventually lead her to become the White Woman (or the Priestess of Fate, as the movie referred to her). 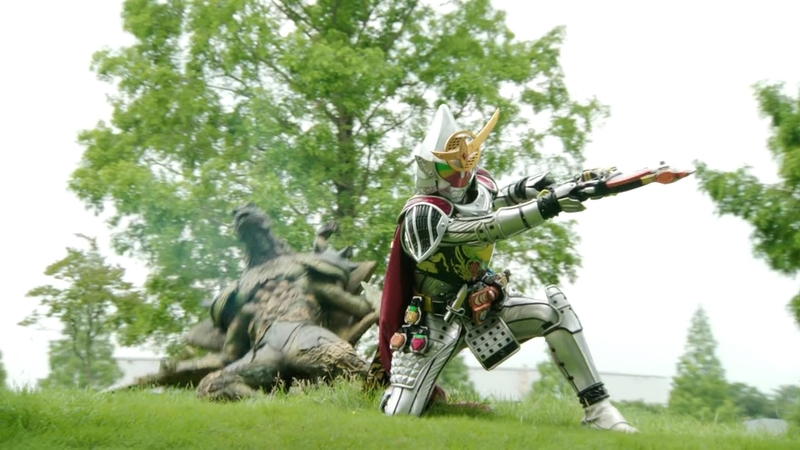 Kamen Rider Drive has quite a tough act to follow now.